As the Cannes Film Festival unfurls along the Cote d'Azur in France this week, New York's Film Society of Lincoln Center has timed a tribute to one of Europe's most dynamic film teams.....alot closer to home. Starting on 27 May, the Film Society will present the most extensive New York retrospective of the works of the seminal Belgian auteurs Jean-Pierre and Luc Dardenne. 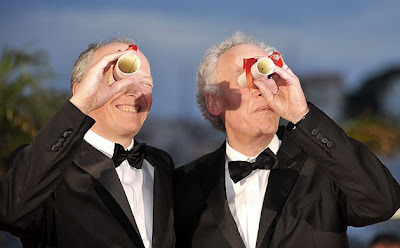 BEYOND L'ENFANT: THE COMPLETE DARDENNE BROTHERS will screen all of the brothers' major films, including early narrative and documentary works, and will appear in person at the Walter Reade Theater for an on-stage discussion following a screening of their breakthrough film LA PROMESSE. Their newest film LORNA'S SILENCE will open in theaters later this summer, following a worldwide tour of the international film festival circuit. Born and raised in the Belgian town of Seraing , outside of Liège, Jean-Pierre (b. 1951) and his younger brother Luc (b. 1954) Dardenne studied drama and philosophy, respectively. One of Jean-Pierre’s teachers inspired the brothers to document the lives of the working-class in their native town. In 1975, the brothers established a production company, Derives, which they used to produce over 60 documentaries about the blue-collar lives in surrounding towns. This immersion in documentary work informed the neo-realist style that they later developed in their narrative films, giving them a mix of realism and poetry. The series opens with ROSETTA (1999), a neo-realist look at a poor teenager who lives in a trailer park with her alcoholic mother, which was the first Belgian film to win the Palme d'Or at the Cannes Film Festival. The film's teenage lead Emilie Dequenne, won Best Actress honors at Cannes and a slew of other awards for her heartbreaking performance. The series will also present some of the brothers' better known films, including LA PROMESSE (1996) and LE FILS (The Son), which won a Best Actor prize for lead actor Olivier Gourmet. 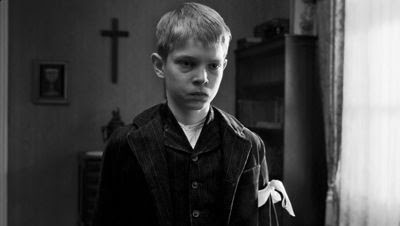 L'ENFANT (The Child) won a second Palme d'Or at Cannes in 2006 and further cemented their reputation as realists with a touch of the poet. Lesser known, and making this series a true treasure trove of discovery, are the screenings of two rarely screened early films: FALSCH, their first dramatic film, an adaptation of a play by Belgian writer René Kalisky about the melancholy reunion of a family of Holocaust survivors; and JE PENSE A VOUS, the story of a steelworker and family man who loses his job. 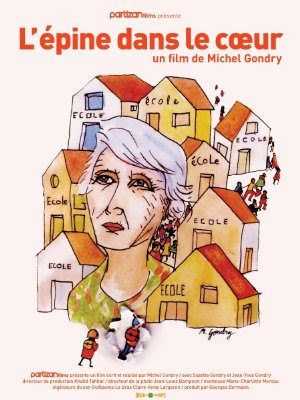 The series even unearths the Dardennes’ early experimental left-wing documentary pieces, including REGARD JONATHAN (1983); JEAN LOUVET, SON OEUVRE (1983), a profile of 18th century radical playwright Jean-Baptiste Louvet de Couvrai and several others mainly produced for Belgian television. This is a rare opportunity to view the (almost) complete oeuvre of one of the most celebrated and significant team of filmmakers working in the world today. Their commitment to film as art and film as provocation have created a unique legacy for artists whose most powerful is undoubtedly yet to come. European films were among the big winners at the San Francisco International Film Festival, which ended yesterday evening after two weeks of film premieres and special events. On 6 May, the Festival, the oldest in North America, announced its Golden Gate Awards, which included cash prizes of close to $100,000 for the lucky winners. 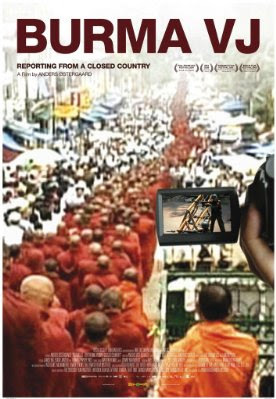 The Best Investigative Documentary prize, with a cash award of $25,000, was given to BURMA VJ: REPORTING FROM A CLOSED COUNTRY, by Danish director Anders Østergaard. The film, which chronicles the human rights abuses in Myanmar/Burma, also won the Joris Ivens Award at the International Documentary Film Festival in Amsterdam, one of the world’s most prestigious documentary film events. The Best Documentary Prize, including a $20,000 cash award, was given to the Swiss documentary NOMAD’S LAND, by director Gaël Métroz. The film looks at the lifestyles and cultures of nomadic tribes in Asia, Africa and Europe. The film had its international premiere this past summer at the Locarno Film Festival. Winner of the Best Bay Area Documentary Feature prize, with a cash award of $15,000, was local filmmaker Jim Granato for his feature debut D TOUR, a portrait of a San Francisco rock band. Eleven films from around the world were in competition for the Festival’s prestigious New Directors Award, a $15,000 cash prize given to a first-time filmmaker whose work exhibits a unique artistic sensibility. The jury chose director Bosnian director Aida Begic's SNOW, an intimate and effecting look at the aftermath of the 1990s war in a small mountain town. SNOW, which had its world premiere at last year’s International Critics Week sidebar of the Cannes Film Festival, went on to win the Grand Prix in that showcase, as well as awards the Hamptons and Thessaloniki film festivals. Begic was nominated for a European Film Award as Best Newcomer for her sensitive work. The FIPRESCI jury, comprised of Mihai Chirilov, Rob Nelson and Charles-Stéphane Roy, awarded the Critics Prize to the American indie film EVERYTHING STRANGE AND NEW, by local San Francisco filmmaker Frazer Bradshaw. The film, which had its world premiere at the Sundance Film Festival, is an unflinching portrait of a family under the stress of the downward economic climate. The San Francisco International Film Festival is one of only three festivals in the United States to host a FIPRESCI jury and award a FIPRESCI prize. The Festival’s enthusiastic audiences also voted for their favorites, giving Audience Awards to the American films DON’T LET ME DROWN, a Latino themed narrative by Cruz Angeles, and SPEAKING IN TONGUES, a heated debate on bilingual education by local Bay Area filmmakers Marcia Jarmel and Ken Schneider. 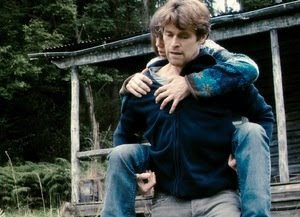 The controversial film made its World Premiere at the Festival earlier this week.